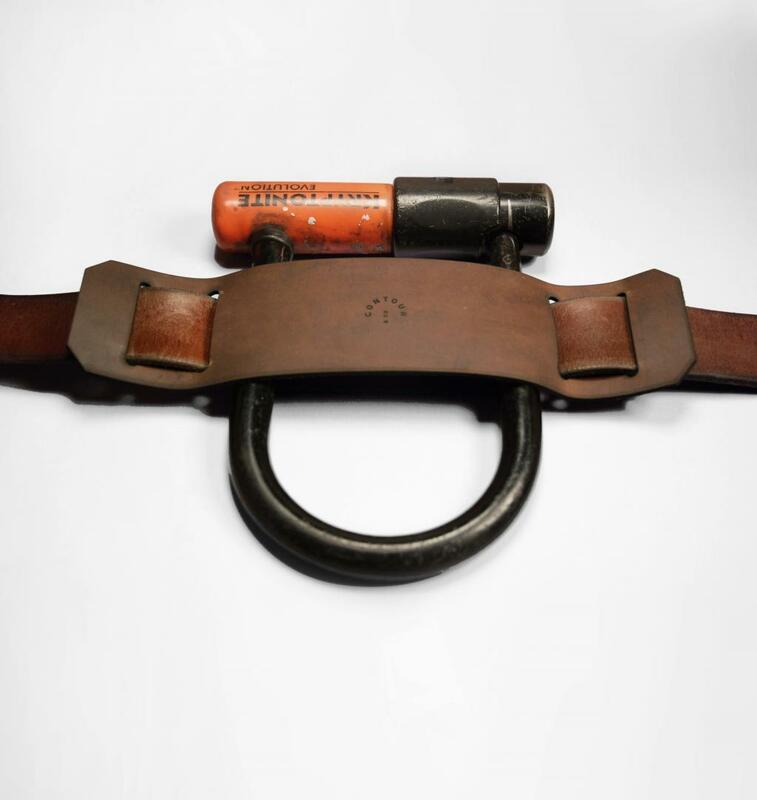 I have never used a bike lock holder or holster but this handmade one looks practical and cool: https://www.vespoe.com/contourandco/shop/u-lock-holder. I would like to know if it's practical to use on a daily basis. When you walk into a bar with your u-lock on your hip, all the other hipsters will admire your fashion sense and dedication to the art and science of hipsterism. They may even buy you a craft beer. Everytime you change your trousers, you have to rethread your belt through it. Of course, real men never wash or change their jeans. Hanging a 3 kg / 6 pound weight on your jeans is going to cause it to sag. But that's why you wear only the finest underwear. Remember, too, that true hipsters do not tuck in their shirts -- so an empty holster would be hidden. So if you want that free craft beer from your fellow hipsters in admiration of your dedication to hipsterism, you need to carry two u-locks, one to lock your bike up outside the bar and other to carry on your hip properly holstered. Or you can go to the bar, sans bike. An obvious disadvantage is shown clearly in the photograph in the question: locks get dirty. I'd rather not have oil, brake dust and general road dirt rubbed all over my clothes. Actual reply to actual question: I find it supremely comfortable. Not uncomfortable in the least. I absolutely endorse carrying your lock around your waist. In fact, my summer bag is an Ortlieb backpack with no ulock holder so I wear my ulock around my waist every day and never have an issue with comfort. I have a belt with a u-lock slot and a hip pouch on it. The hip pouch holds tools, a co2 cart, and a tube. The majority of my time this thing is in my bigger bag, which I carry on my back. However, if I want to run a quick errand I just grab the hip pouch. If I want to travel really light I leave the pouch and use the belt with my lock. If you get too hung up analyzing the hipster culture you will miss out on the practical analysis. Now, practically speaking, I would not put this attachment on the belt that is holding up my pants. But as a means to keep your lock on you, around the waist is the way to go. EDIT TO ADD for @David Richerby: I have a few bikes and I don't put u-lock holders on each of them. I carry my lock on my body. Some of the bikes have no place for a u lock to mount! Not the answer you're looking for? Browse other questions tagged accessories lock or ask your own question. My key jammed in my U-lock. How can I unlock/break it? What is the best bicycle lock on the market? How to deal with lock that keeps jamming? How to find a durable lock mount? How to clean a combination bike lock? Bike lock bar jiggles in locked position — indicative of weakness? U/D lock or folding lock?